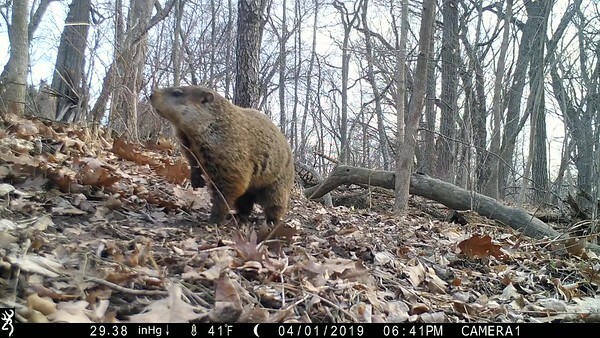 Groundhogs mate after coming out of hibernation. 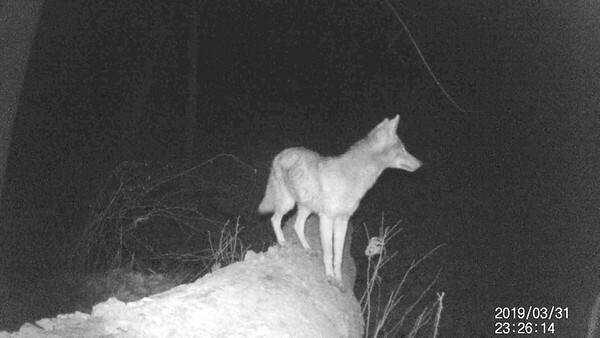 They are primarily solitary animals. 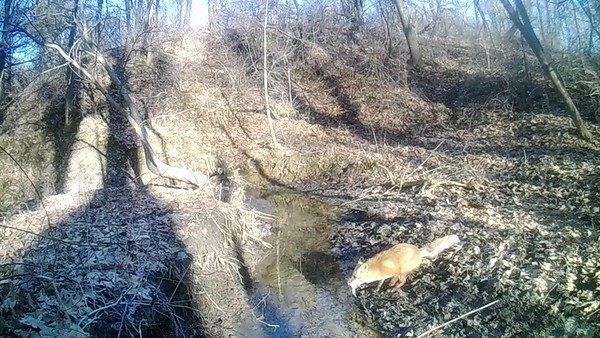 This male Red Fox is taking a meal to the den for his young pups. 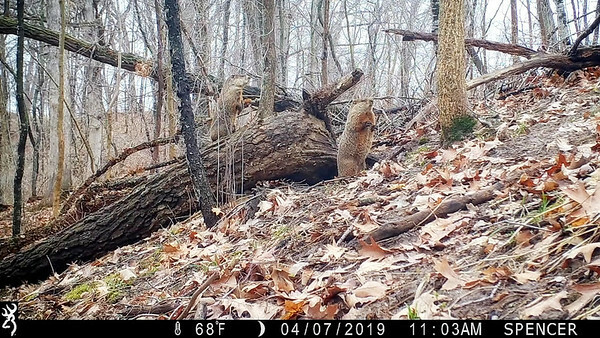 The animals didn't use this tree to cross during the winter very much as the snow was too deep, I'm happy to get the camera back at this location. 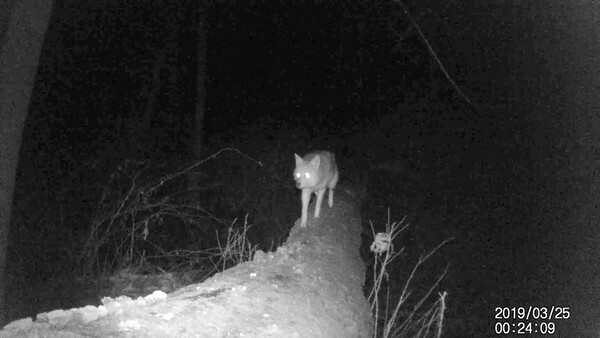 Pretty sure this is the injured coyote I've been seeing, however today it is using its front left paw. 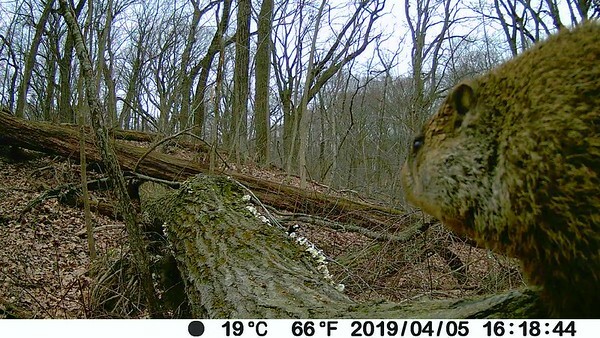 I feel very happy to see it eating. 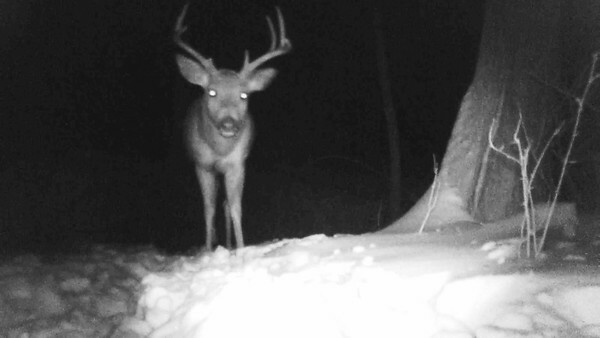 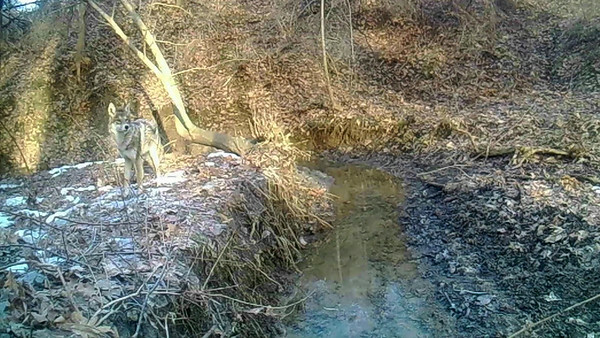 Notice the coyote never once looks at the trail camera. 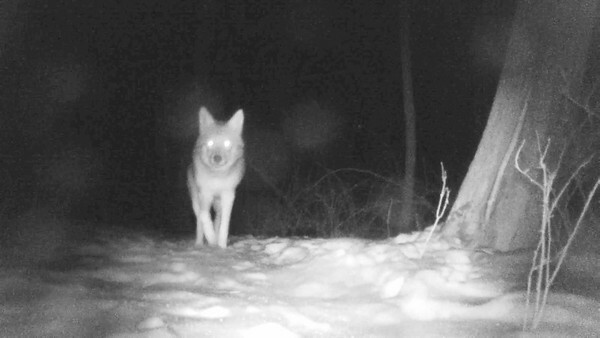 This inexpensive no glow camera is my favorite for capturing coyote. 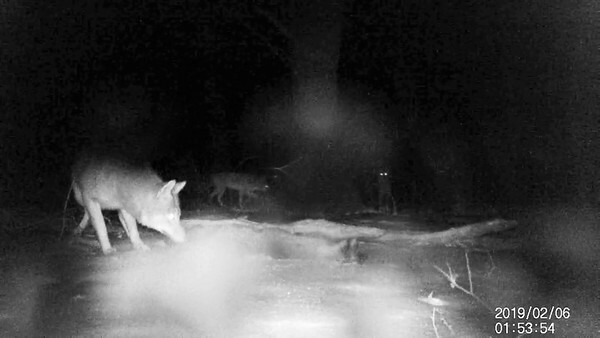 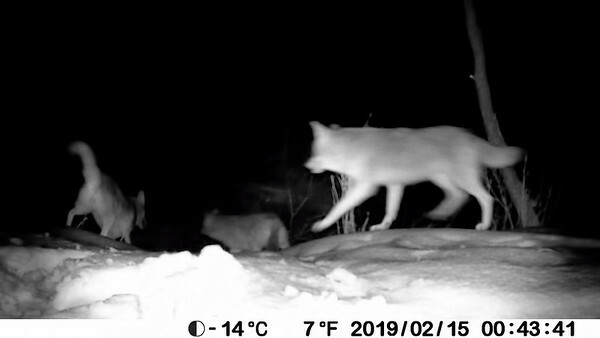 Nice capture of 3 coyotes! 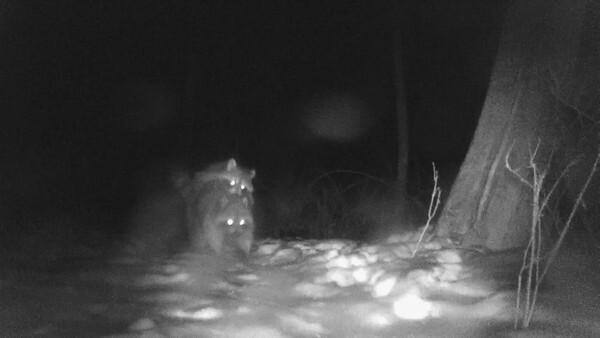 Tis mating season for raccoons. 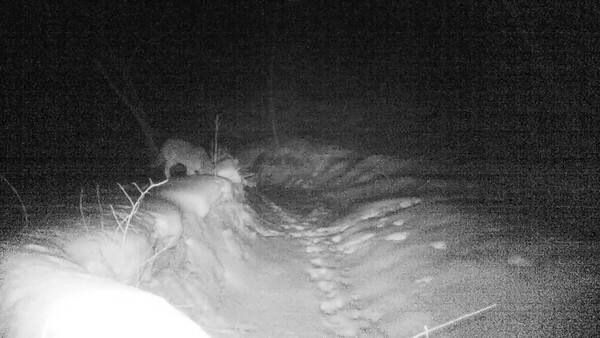 Coyotes checking out a lamb, which was born dead and given to me by the farmer to feed the wildlife. 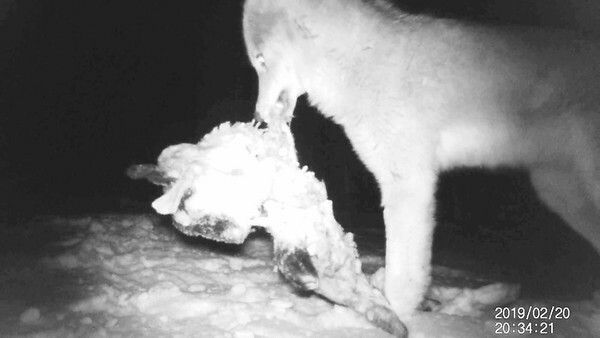 The coyotes only smelled the lamb, they did not eat it. 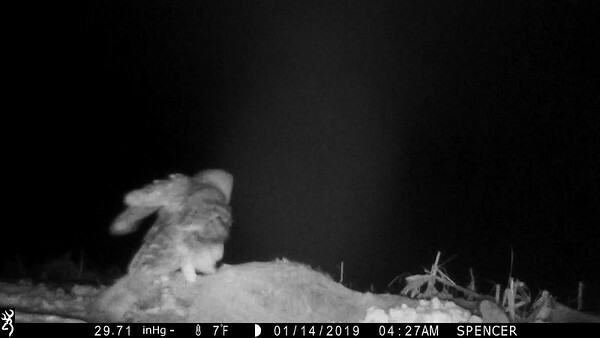 Sound up in the beginning! 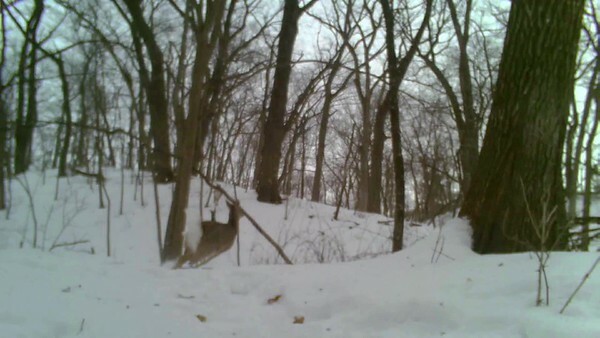 Watch as the deer come running down the hill. 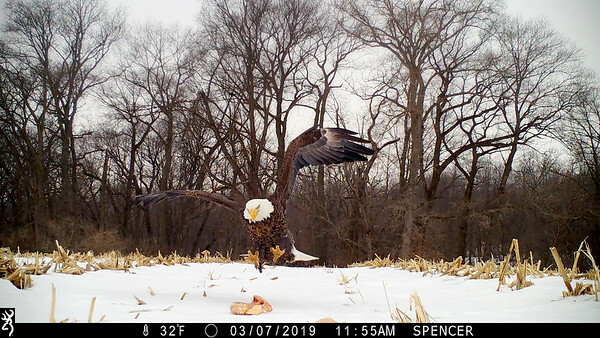 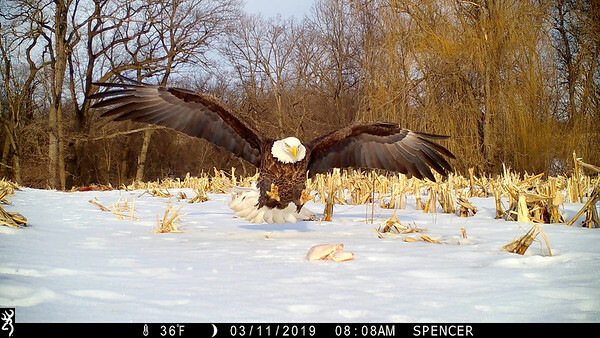 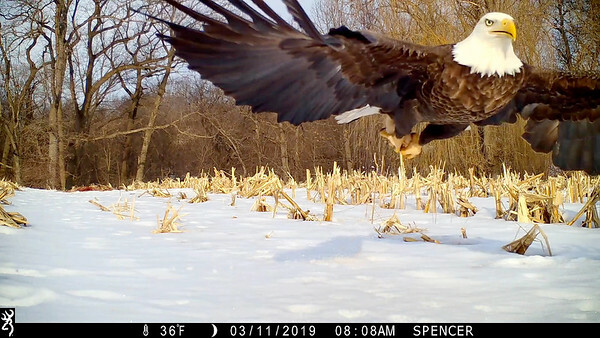 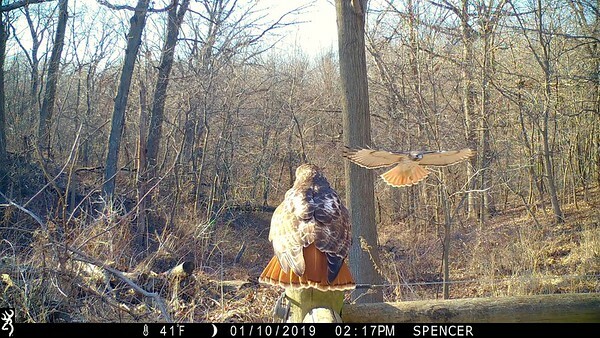 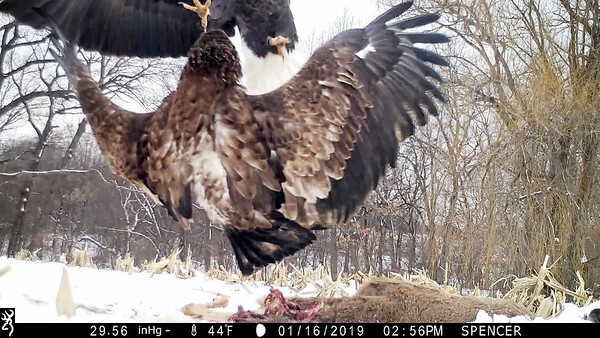 Trail camera did a good job of capturing some eagles today! 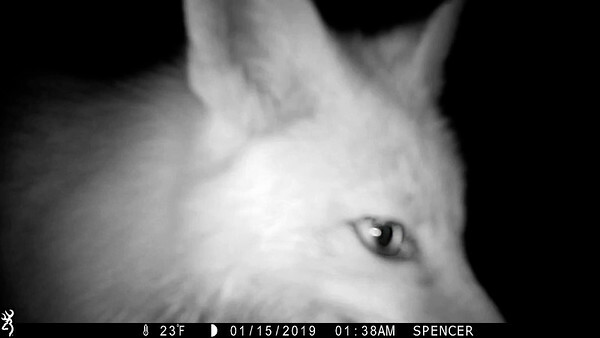 Listen to the sounds of the Red Fox during mating season.